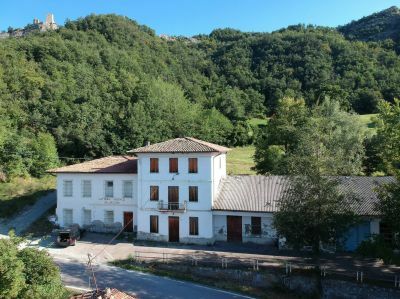 A wonderful former dairy, two self-contained apartments and two outbuildings with panoramic views over the Tuscan Emilian Appenines, located near the historic town of Carpineti in the Province of Reggio Emilia, 40 minutes from Modena (A1 Milan-Rome motorway) and 1 hour from Bologna airport. The property comprises approx. 1,371 sq.m. net in total and retains the original fixtures and fittings for the artisan production of Parmesan cheese, including the sunken milk boiling vats and the air-drying shelving. With flair and imagination and in line with the Agriturismo planning use, this property could be converted into a stylish restaurant with ample space for kitchen and back-of-house, as well as large, light and airy dining room with stunning views, bar in the old drying room and two self-contained former piggeries (251 and 278 sq.m. respectively) which are ideal for use as self-catering flats holiday flats or B&Bs. There are also 2 one bedroom flats of 63 sq.m. each in the main building and ample space for car parking opposite.? The properties offer huge redevelopment potential and the location close to Carpineti and within the historic Terra Matildica area ensure a steady stream of visitors year round. There are several ski resorts within an hour’s drive, the imposing rock, the Pietra di Bismantova is one of the training centres for national climbing and alpine rescue, the property is in the heart of the Parmigiano Reggiano (Parmesan) area and there is a rich local tradition of organic farming and production with the local bakers, butchers and dairies all providing high quality produce. 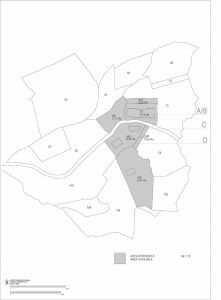 The local Comune and the Regione are keen to promote the area and would therefore look favourably upon initiatives to restore the Caseificio into a venue for food and accommodation, subject to the existing planning structure and use within the Agriturismo genre.